Rupert Murdoch’s six children are in line for $US2 billion each in proceeds from the sale of 21st Century Fox, the Financial Times reports. All six heirs are beneficiaries of the Murdoch Family Trust, which owns a 17% stake in 21st Century Fox. Rupert Murdoch doesn’t have a financial interest in the trust, but he still controls it. The monster $US71.3 billion sale of 21st Century Fox to Disney is nearing completion, pending approval from EU regulators. And when it does, each of Rupert Murdoch’s six children are in line for $US2 billion payday, according to The Financial Times. Multiple people briefed on the matter told the FT that each of the Murdoch heirs will receive an equal share of $US12 billion in proceeds. The figure represents a 17% share in 21st Century Fox held by the Murdoch Family Trust. It also includes Fox’s interest in Sky, Europe’s biggest pay-TV provider, which was sold to Comcast for $US40 billion in September. Murdoch’s four adult children – Prudence, Elisabeth, Lachlan and James – are direct beneficiaries of the Trust. Murdoch’s daughters from his marriage to Wendi Deng, Grace and Chloe, aged 16 and 15, are also beneficiaries of the trust but don’t have a voting interest in it. Their stake is managed by Trustees. Disney’s bid gives 21st Century Fox investors the choice between receiving cash or shares. However, it’s unclear whether Rupert Murdoch will give each beneficiary the option. According to the FT, Murdoch has no financial interest in the trust but he still controls it. Not included in the $US12 billion figure is the Murdoch Family’s interest in News Corp or New Fox – the entity being spun out of 21st Century Fox which will maintain ownership of the US Fox news channel. 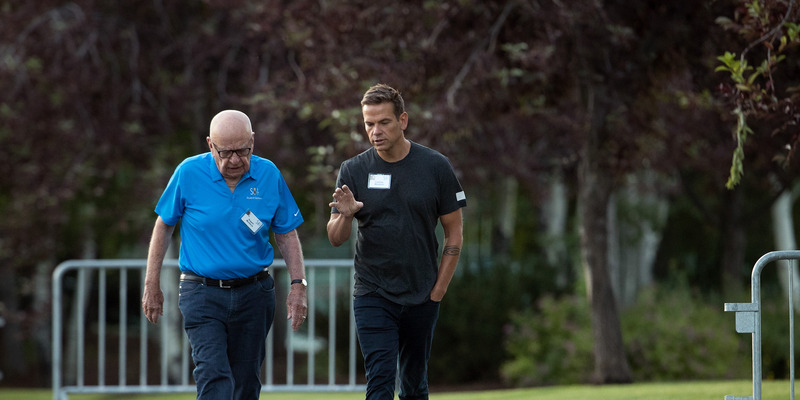 Following the sale, Rupert and Lachlan Murdoch will continue to work together, with Lachlan being appointed CEO and Chairman of New Fox. However, it remains to be seen what James Murdoch – currently the CEO of 21st Century Fox, will do next. Among his various technology interests, he’s also been earmarked as a possible successor to Elon Musk as the chairman of Tesla. The Financial Times has more here.